In this English speaking practice lesson, you will learn 9 different meanings of the word ‘GOT’ and how to use ‘GOT’ in English conversation. GOT is the most versatile word in spoken English and is often used in English speaking. 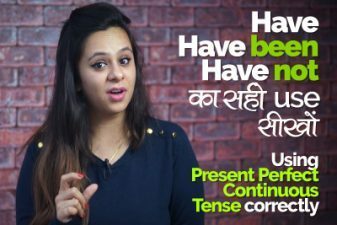 Learn how you could use the word Got in different situations with your English Trainer Kabir. These are free English speaking classes from Let’s Talk English speaking classes in Mumbai. I got a book for my birthday. He got cold last week. I really got carried away, sorry. I got the 4.55 train to New York. That film really got me. Her charm got me like, totally. Jasmine got off at Baker Street. 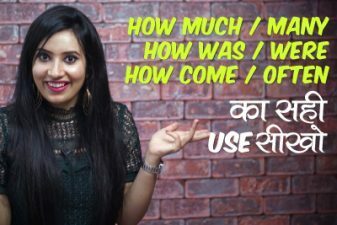 तब तक के लिये ख़ुश रहीये मुस्कुराते रहीये, and keep talking in English, practice and practice more. 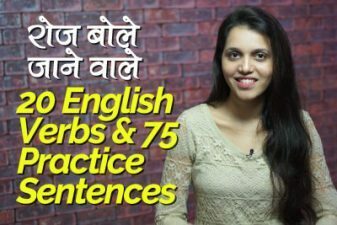 Previous Previous post: English Speaking Practice Lesson – Past Events (बीते कल ) के बारें में कैसें बात करेंगे?